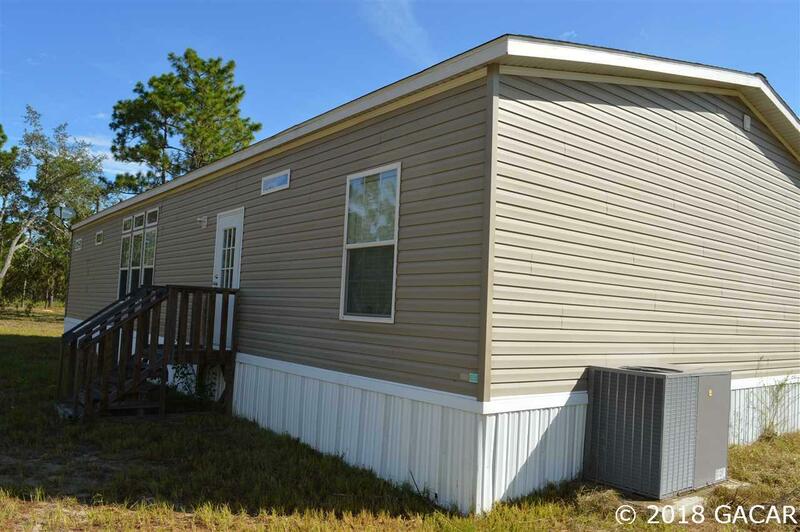 Beautiful, top-of-the-line mobile, 3 yrs of age, and move-in ready! Wait until you see the taped and textured walls, high tray ceilings, crown molding, vinyl plank flooring, gorgeous kitchen & huge designer shower. You'll think you're in a model home. 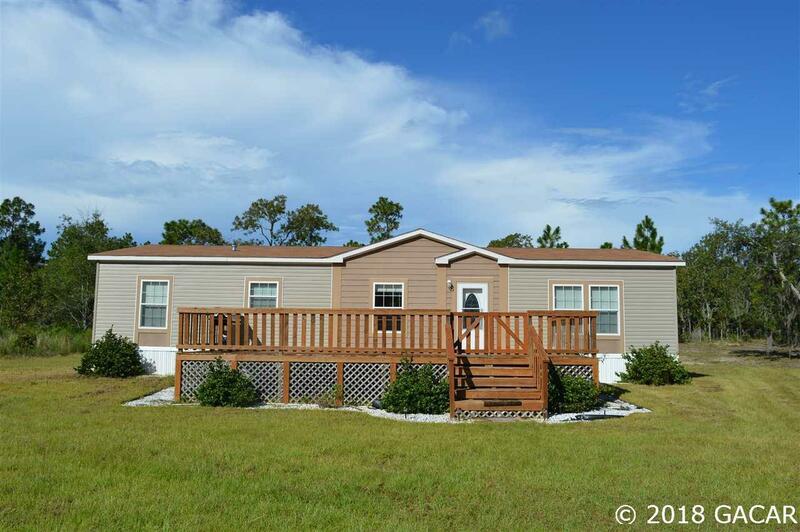 With over 1800 sq ft on 2.55 acres, your family & pets will have room to spread out. 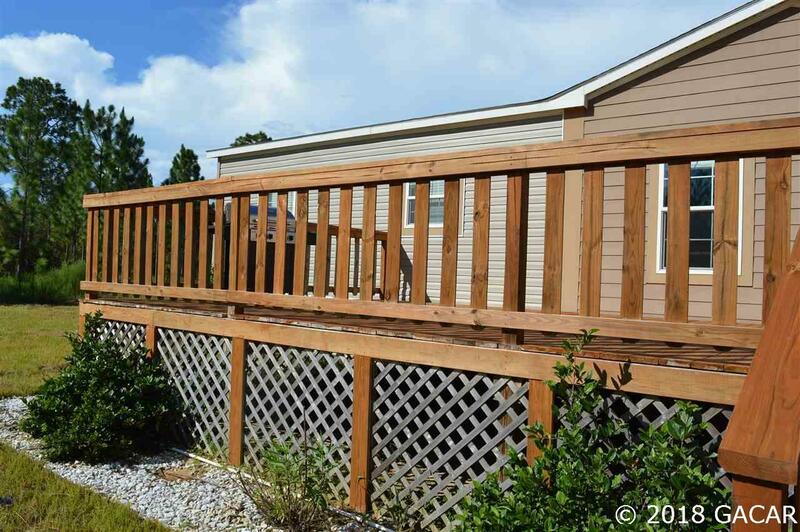 Property is gated and fenced on 3 sides. Utility building has electric and is great for storage and for use as a workshop. Just a short distance off a paved road, this home is totally private. 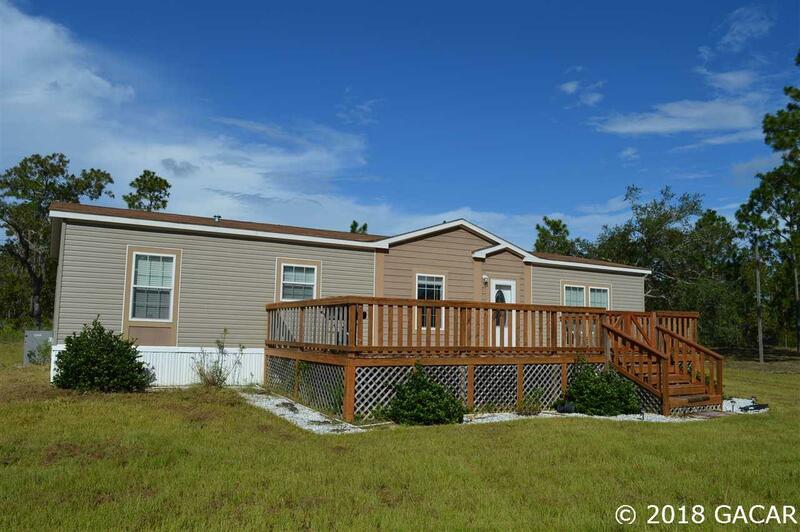 10 minutes to Williston, 30 minutes to either Gainesville or Ocala, 40 minutes to the gulf, and low Levy County taxes make this the perfect location for your year-around dream home.